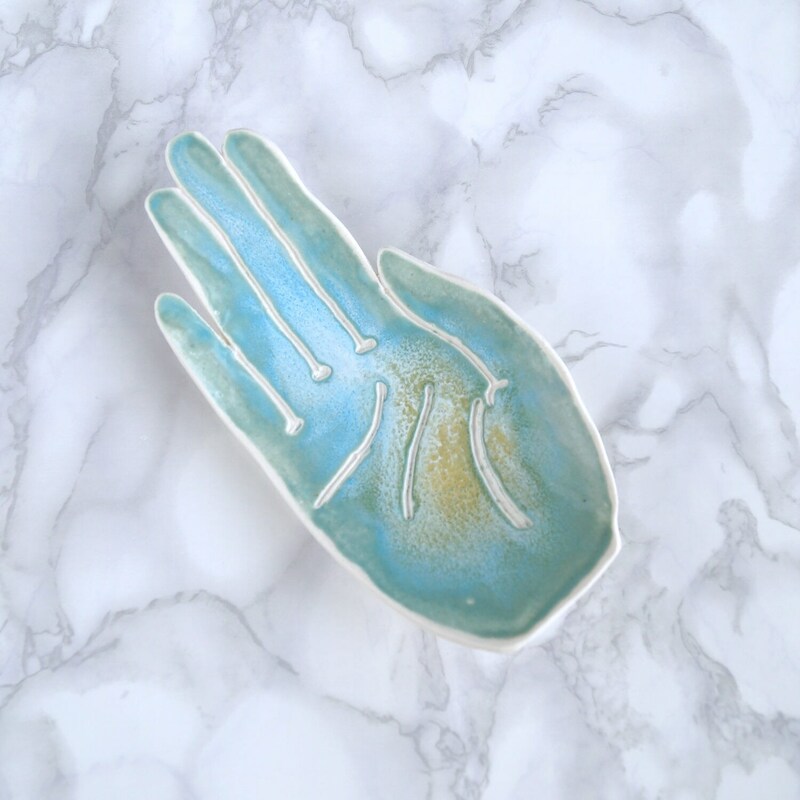 PALM. 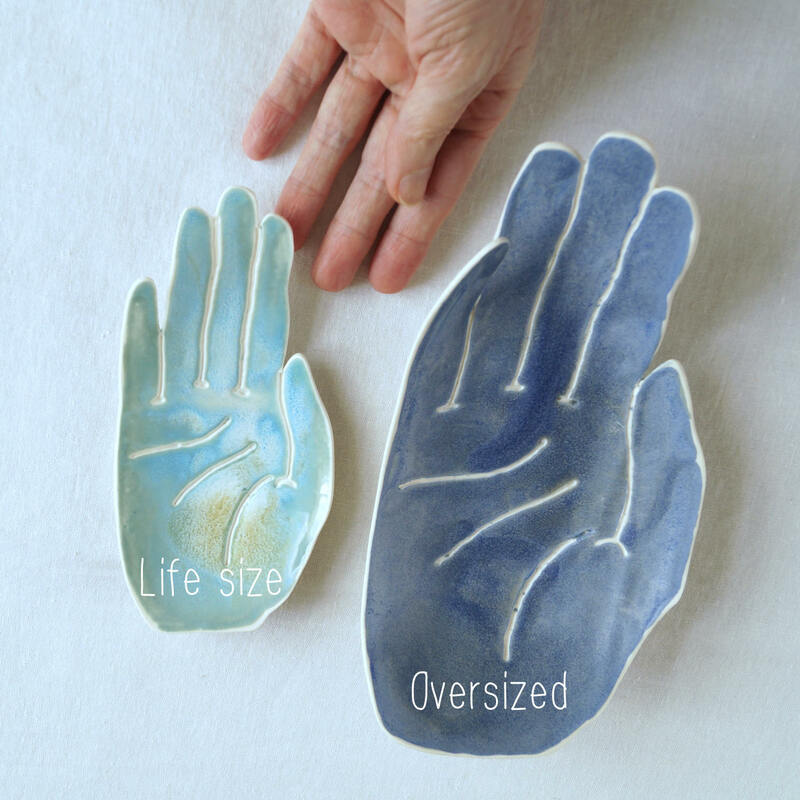 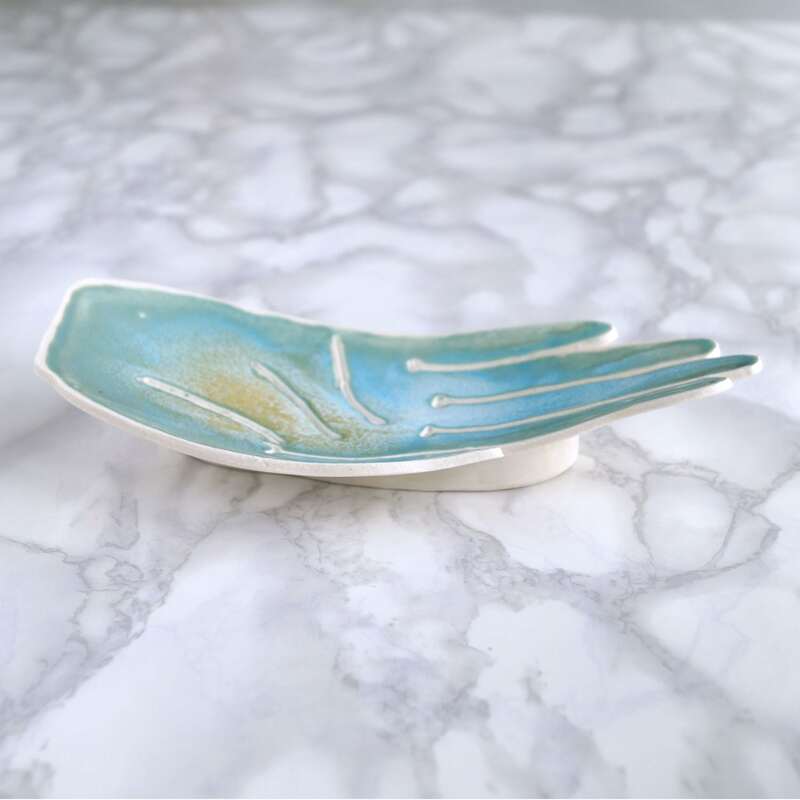 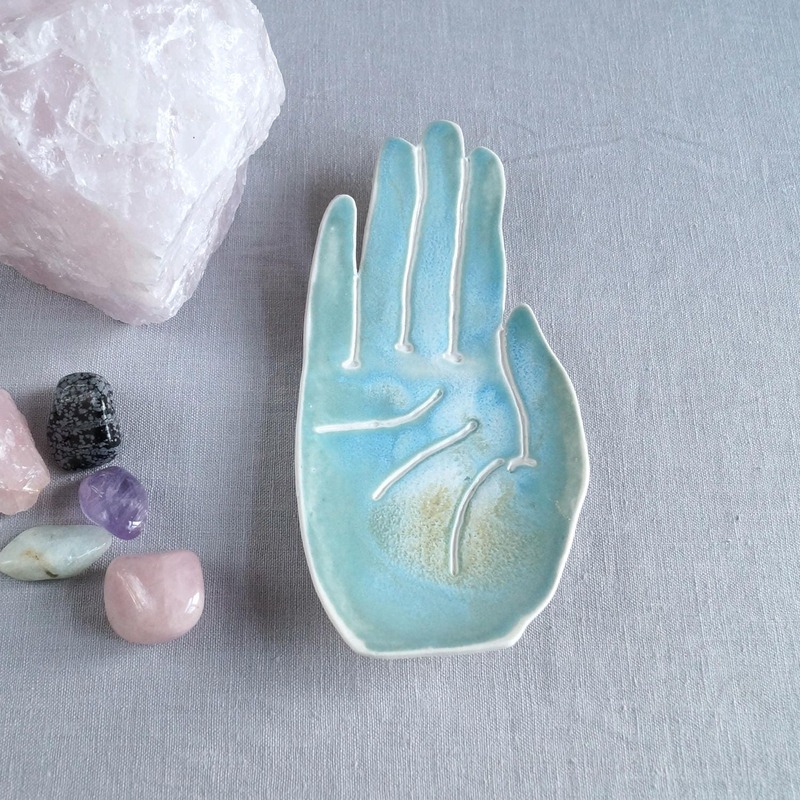 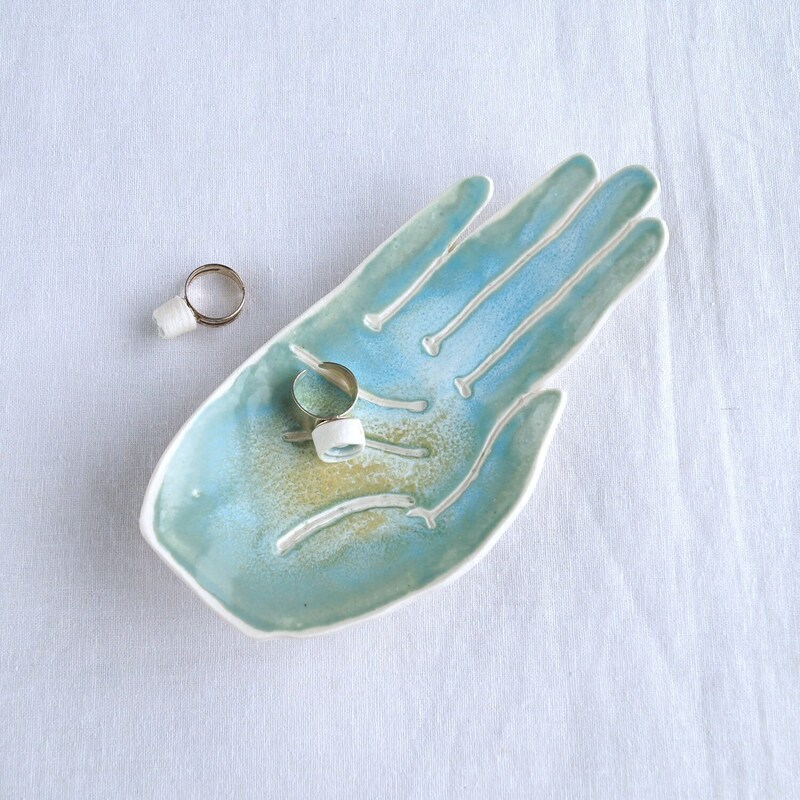 Hand shaped porcelain ring dish with shiny turquoise / aqua glaze. 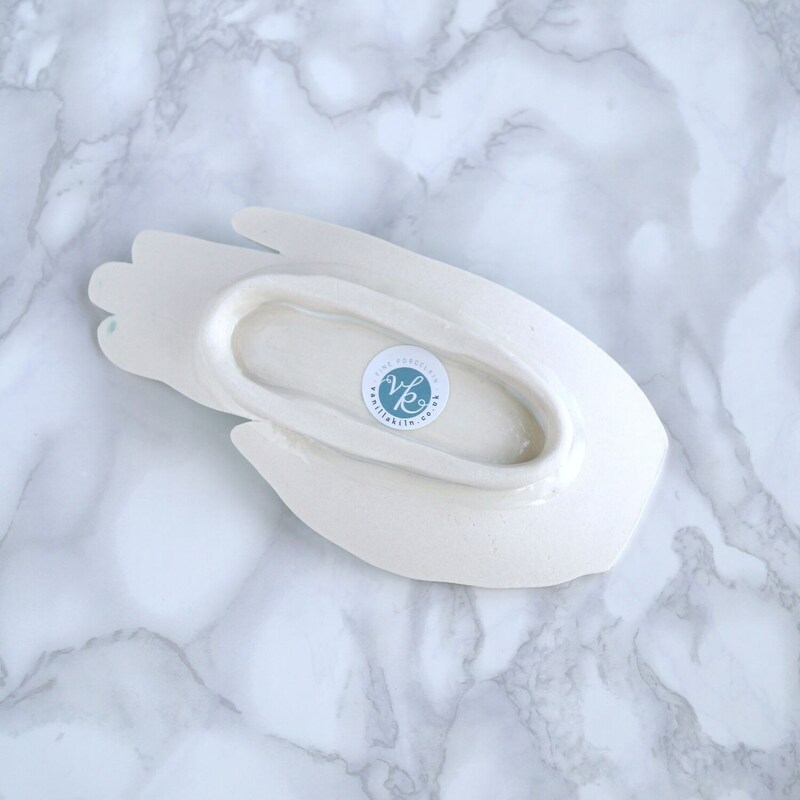 Can also be used for coins, soap or candles.